When it comes down to it, our one true love is grilled cheese. And like, can you blame us?! 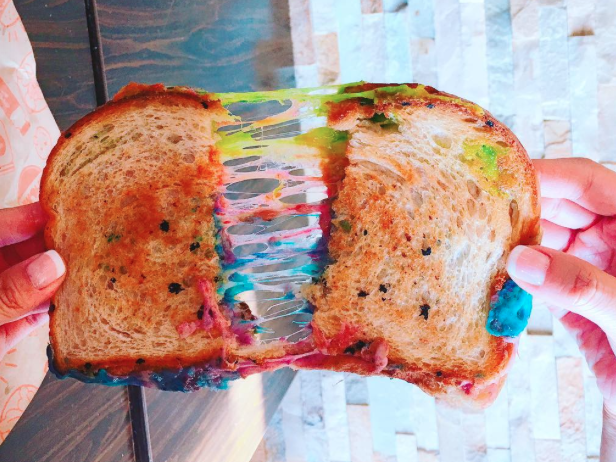 Grilled cheese is one of the best foods ever, and the weirdly delicious rainbow grilled cheese craze was pretty much the only good thing to happen in 2016. And these yummy grilled cheese recipes, courtesy of our beloved Instagram, are putting a much-appreciated twist on this fave. So what are some of our top grilled cheese recipes? 8And we can’t forget rainbow grilled cheese!